Momtrends is not only a one-stop resource for hip moms, but founder Nicole Feliciano also knows how to throw a pretty fun party. 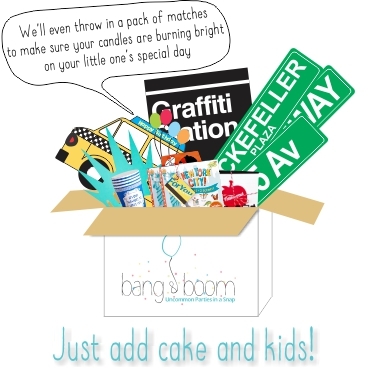 Combining partnerships with some of the best children's brands out there, a fab location, yummy food and cocktails and a roomful of parenting influencers is a recipe for success, no question about it. The Glasshouses, a breathtaking space on the Hudson River, was the perfect backdrop for last month's party highlighting Stokke, the Scandinavian company famous for their innovative line of children's products. Stokke believes that it is in the child's best interest to be as close as possible to his or her parents, and to be placed in an environment of safety and security. That motto is evident in everything they produce, from strollers to their famous Tripp Trapp chair. 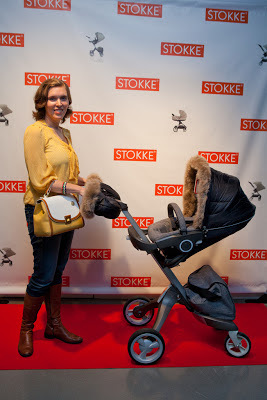 During the evening, I got a chance to check out their latest stroller creations -- the Scoot and Crusi, in addition to the well-known Stokke Xplory. Offering smart solutions and the clean, refined aesthetic they've become known for, Stokke isn't afraid to set the bar high. These strollers are synonymous with quality and style, and I left the party considering a 3rd child as a result (only half kidding). 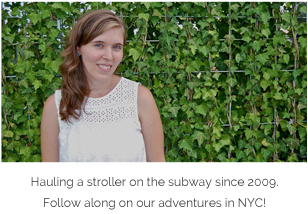 As much as I love connecting online, I always welcome the chance to see my blogging buddies "in real life," too. I am consistently inspired and motivated by this community, and I'm thankful that Momtrends can bring us all together under one roof. Disclaimer: I was given a Stokke gift bag upon leaving, but all opinions expressed, as always, are my own. Ha! Yes, indeed. Thanks to you!